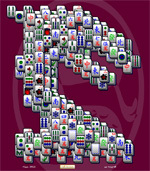 Online Mahjong Solitaire.com has stepped it up a level and created a pyramid out of the classic mahjong solitaire game you all know and love. 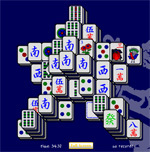 The layout starts with the original look, but builds up into a pyramid, testing your online mahjong skills in a new way. 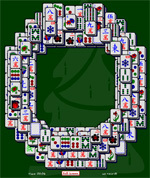 The goal is still the same- eliminate all matches one at a time to clear the entire board. 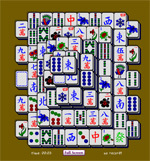 Tiles are still highlighted when they can be played.